JetServer Ltd is a web hosting company based just outside of Jerusalem in Ma’ale Adumim, Israel. They have over 10 years of experience in web hosting and pride themselves on their professional customer support. They say “Our supporters will do anything to help”. They go by the motto “That it takes less time to provide a fast, efficient and professional service, than the time it takes to apologize for bad service”. They offer a broad pricing spectrum, whereby they confidently say that they can provide a solution for any unique request. JetServer also boasts a dedicated development department, and employ 2 full-time PHP programmers who are always on hand to diagnose advanced problems. JetServer offers a fully customizable web hosting service to meet the needs of any hosting customer requirement. They aim to be able to offer a completely custom service, should that be required. Their customer support staff are always on hand to provide technical support when required. JetServer offers an extensive knowledge base, full phone support, PHP programming support and in their own words, they have a “Crazy Support Team!”. We get the feeling that they will willingly go out of their way to provide any support required to ensure that your web hosting service goes smoothly. JetServer has been providing hosting to their international customers for over 10 years. 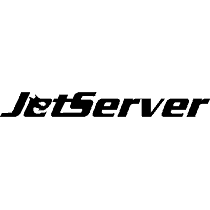 One of the major bonus’ of hosting with JetServer would be the fact that they have been up and running for over a decade. This offers peace of mind, as you know that they are knowledgeable and trustworthy. When looking at their reviews, I also found some from long-standing customers who were completely happy with the service that they were provided. They offer a wide range of web hosting services such as Shared Hosting, Dedicated hosting, VPS and Cloud Hosting, as well as optimized hosting for Joomla, Magento, and WordPress with superfast SSD hosting. Some customers feel that the pricing is quite expensive but their service is top notch and outweighs the price. At first glance, their shared hosting plans do start at quite a high rate, almost 4 times higher than some of the major hosting providers. However, their VPS and Cloud Hosting rates seem to be a bit more competitively priced. All in all their pricing is fairly standard across the board and not out of line with other hosting providers worldwide. JetServer offers 3 levels of shared hosting: A Personal Plan – designed for image sites, The Business Plan – for customers with more than one site, and an Advanced Program – which is suitable for commercial sites. You can get a free domain with the Advanced program but not with the bottom two tiers of product. They all come with cPanel, AutoSSL and Free SSL Certificate. Below is a brief overview of the shared hosting plans with JetServer. JetServer offer WordPress optimized hosting packages which resides on fine tuned servers with Litespeed enterprise. These all have a special caching system at the WebServer, backup and restore functionality at the touch of a button, no traffic restrictions, staging system for developers and a LiteSpeed Web Server. The Joomla Optimized Hosting Packages with JetServer seem to follow a similar pattern to the WordPress Hosting. Where you get all of the same features, however, optimized for Joomla instead of WordPress, below is a brief overview of the Joomla Hosting with JetServer. Again the Magento hosting follows a similar pattern to the WordPress and Joomla hosting. They offer the same features, optimized for Magento with a little bit more space. Below is a quick overview of the packages offered. For the expanding company, JetServer offers a nice selection of Cloud Computing VPS servers with high-speed SSD disks. JetCloud 3 and 4 have Disk 300GB SAS Enterprise SSD disks and 100 MBPS bandwidth. The two lower tiers, JetCloud 1 and 2 offer 50 MBPS bandwidth, they all come with security services SNAPSHOT backup for quick recovery and they back up information to an external server. Additional services provided by JetServer are Israeli and world domain names and SSL Certificates. JetServer also owns various apps that can be installed to enhance the server capabilities, such as JetBackup, JetPress, and JetCloud. One great thing about JetServer is that they do not impose any traffic restrictions on any of their services. Which in turn will be great for uptime, should your website incur a surge of traffic during a promotional campaign. All of the sites on JetServer have protection from hacking. This and the fact that you have the added support of their PHP developers ensure that your site does not incur the trauma of downtime due to hacking. Offering free domain names with lower priced service packages allows even those on low budgets and point of entry into the online market space. This is a great feature that seems to have been overlooked in the JetServer packages. It is a service that they offer to higher tier packages on their website. JetServer offers everything that you would expect from a hosting company. There does not seem to be any service that they don’t offer. They are a fantastic company for those looking for hosting and cloud solutions across the globe. We love their focus on customer service and how they go out of their way to provide the best possible solution to fit even the most unique requirements.